Comic book scholar Ramzi Fawaz doesn’t just sit back and crack open a copy of Justice League for fun. As an assistant professor at University of Wisconsin-Madison, Fawaz is all about doing a deep read on comics, analyzing what messages they send to readers. 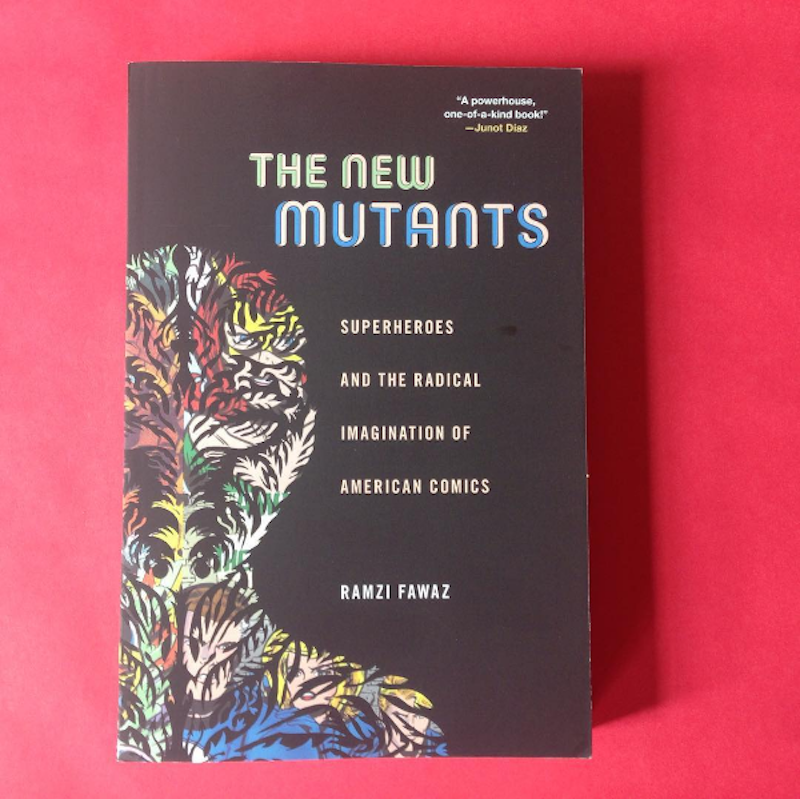 In his new book, The New Mutants: Superheroes and the Radical Imagination of American Comics, Fawaz argues that mainstream superhero comics of the 1960s and ‘70s responded to and expanded on the social justice movements of the era. Critics often rightly point out that the world of Marvel and DC comics haven’t been the best at inclusive representation—their heroes tend to be white, straight men who reiterate traditional gender norms. Superman is the iconic symbol of American masculinity, right? And queer characters were actually banned from mainstream comics under the publishers’ comics code until the early ‘90s. 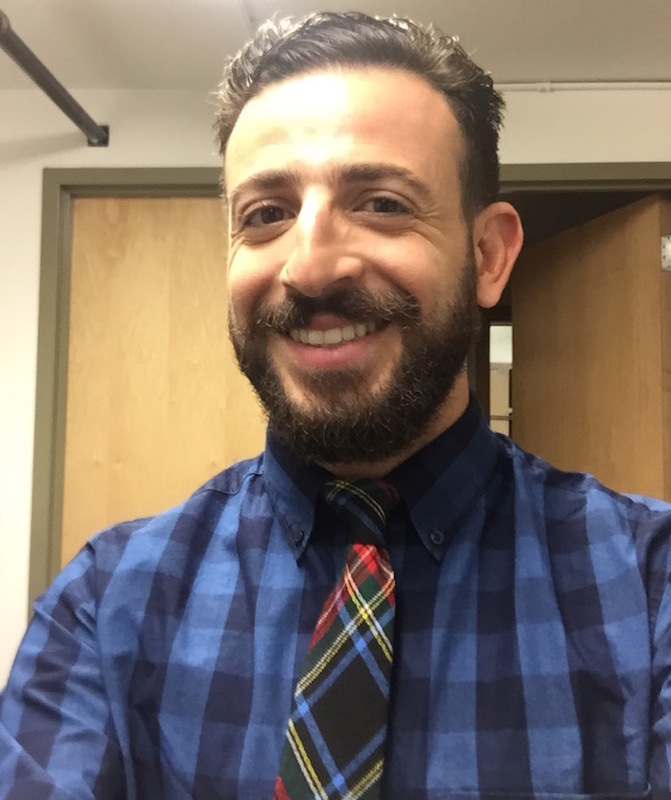 But as a gay Lebanese-American teen, Fawaz found that he connected ardently with superhero comics like The X-Men and The Fantastic Four. I talked with Fawaz about how the X-Men are a “chosen family” and how comics take their cues from social justice movements. SARAH MIRK: What's your background with comics, and when did you start getting interested in comics yourself? RAMZI FAWAZ: I fell in love with comics when I was around 13 years old. It was during a particularly difficult period in my life as a young gay man growing up in suburban Orange County, California. I found myself feeling very alienated from the conservatism of that culture, and I accidentally kind of fell upon comics during the summer between my 7th and 8th grade year. I saw a magazine clipping that was kind of an advertisement for the 35th anniversary issue of The X-Men. I was mesmerized by this really kind of majestic cover. So I asked my mom if she would take me to the local comic book store. I had kind of a magical experience there. I'd never felt so welcomed in a space. I'd never felt so surrounded by fantasy, by wonder, by stories. It was kind of an incredible space to be in, the comic book store. So I picked up these issues, and I started reading. 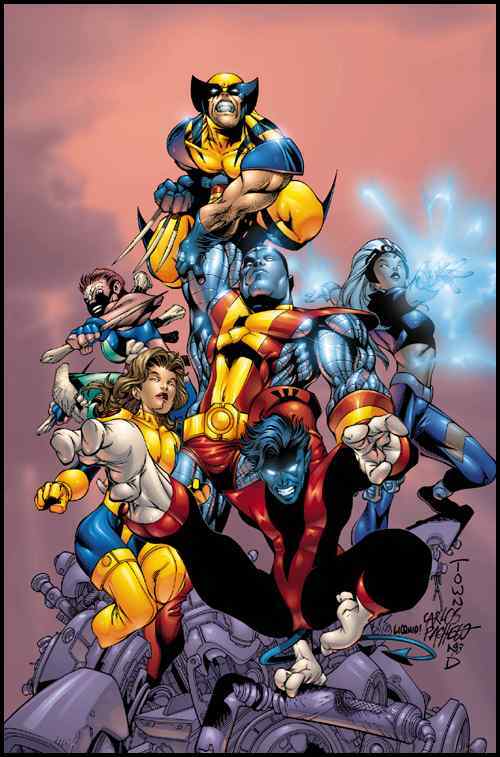 I felt an immediate sense of identification with some of the characters of The X-Men. They were mutants; they were outcasts, and I felt similarly like an outcast. As cheesy as that sounds now—that seems like such a simple way of identity—it was really immediate and visceral for me in that moment. So I started collected comics from then on, and I did so for years and years and years. I'm no longer a regular collector, though I still enjoy reading comics from time to time. Old-school superhero comics are often seen as pretty nationalistic and the world that’s portrayed in mainstream comics, especially Marvel and DC, can be very white and celebrate very traditional gender norms. How did that jive with your experience reading X-Men as a teenager? Yeah, so it's a great question because, in fact, it didn't jive with my experience. I remember, as I grew older, and I started reading cultural criticism on comics and also talking to people who didn't read comics but had a negative perception of them as exactly what you described, as nationalist, as white, as patriarchal, as normative, I found that interpretation of comics really odd and kind of unusual because my experience was so dramatically different. I read comic books like The X-Men, like The Authority, like Planetary—these are more independent superhero comic books—that showed a wide range of characters across multiple demographics. It seemed deeply egalitarian, deeply democratic, invested in democratic values, and in questions of freedom and ethics and collective life. How much of your connection to comics had to do with queerness? 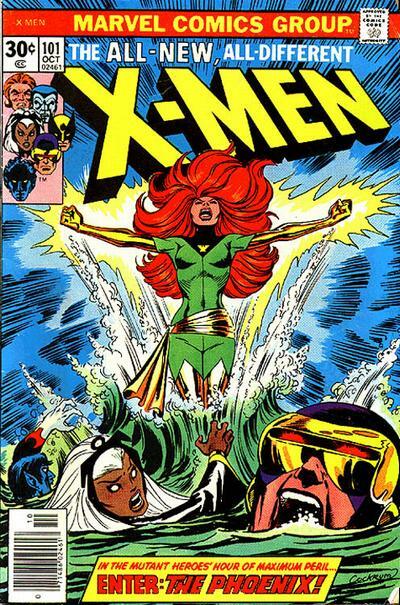 What about queerness showed up in those X-Men comics that you were so excited about? Oh! Queerness was all over the place. It started in many ways by me growing up in a queer household. So I grew up in a lesbian-headed household, and my brother is gay, and so am I. 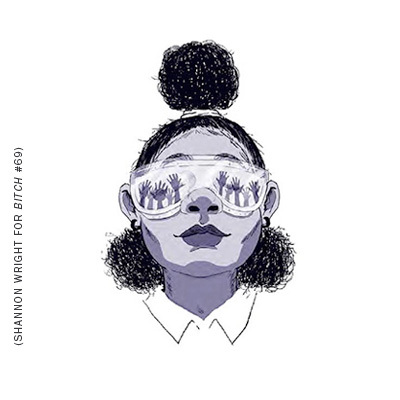 So I really was aware when I was growing up of the power and the value of alternative kinship networks, of being outside of the norm in the way that you construct your family. And I also understood that alternative families were precarious in the sense that they were stigmatized, that they were looked down upon and seen in a negative light. Yet, I wanted to understand why there were not so many images of those kinds of alternative kinships in popular media. 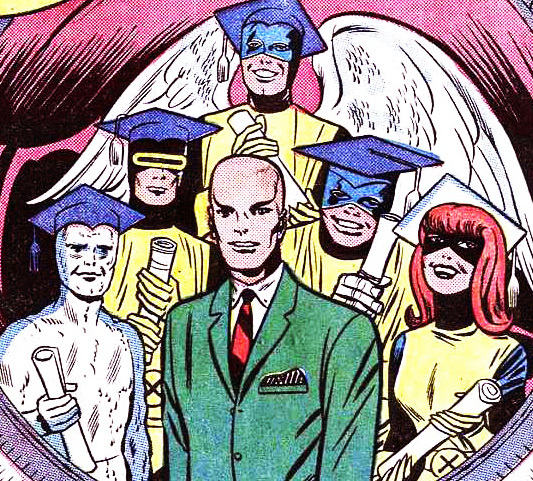 So when I first read The X-Men, I think part of my identification with them just came immediately from my sense that they were a chosen family. There's a beautiful moment in the first issue of The X-Men I ever read—that issue I mentioned, the 35th anniversary—in which the team is kind of embattled and has been defeated by this villainous group of imposters, this group of imposter X-Men. So they regroup to try and kind of figure out what they wanna do next, and there's a young, fledgling member of the team who says, “Maybe we should just give up. Maybe these other people, it's their time, and we should just give up this charade.” And there's a beautiful moment when the character Storm says, “If that's what you believe, then you fundamentally misunderstand what it means to be an X-Man, because we are here because we chose to be bonded together. We chose to have this kinship, and that kinship is based on a shared ethical investment in making the world a more free and egalitarian place.” I remember being so deeply moved by this because it was a suggestion that what bound the X-Men together was choice, was the idea of wanting to be bonded together. I love that idea. So in many ways, what I perceive to be queer about superhero comic books is not in any way necessarily whether or not they represent, visually or narratively, LGBT people. Though, I think that's also very important. It was really about how comic books represented alternative ways of being in the world, queer ways of living, family, intimacy, kinship, connection. I found that really, really deeply moving, and that's often what I pursued and why, when I was growing up, I almost exclusively read what we called “team books”: comic books that were about collectives of superheroes working in tandem to create collective transformation. In your book you talk a lot about how the comics written in the '60s and '70s and early '80s were really reflecting the social justice movements of the time. Can you speak a bit about how comics of that era were incorporating ideas from leftist movements? So I think there are a number of ways in which the radical leftwing movements of the '60s, '70s, and '80s dovetailed with comics production. So one was simply the fact of their coincidence historically. So comic books were having a renaissance, specifically superhero comic books were having a renaissance starting in the late '50s, early '60s. So you can imagine that as the superhero was being reinvented for a new generation of readers, that generation of American youth was also being caught up in the emergent movements for civil rights, the new left, the women's and gay liberation movements of the late '60s and early '70s. So there was a new generation of leaders who were invested in those political values. And there was no way that superhero comic books could sell themselves to mass youth audiences without at least speaking to some of those values. And so what we get in the 1960s is a reinvention of the superhero from a figure of kind of white, masculine, nationalist power to a figure of species and social outcasts. You get numerous superheroes starting in the late '50s and early '60s who find themselves at odds with traditional humanity. Their bodies have been transformed through molecular engineering, through radiation, through freak accidents that make them into social outcasts. So in many ways, superheroes began to represent the interests of minorities in the real world. Even if they were not always represented as, say, racial or sexual minorities in a traditional way, they had come to inhabit the status of the minority because of their being outcasts from traditional humanity. I think my question for you is, “How intentional was this?” Do you think the creators at DC and Marvel were thinking, “We're gonna create heroes that bridge identity politics and really embrace the diversity of America through coding them as mutants?” Or is this something where they were just writing superhero comics, and readers at the time and now read into those texts as saying, Oh wow, this is cool? I think it's both. So I think the level of intentionality really has to do with the fact that most of the creators that came into popularity in the late '50s, early '60s, and then '70s were second-generation Jewish immigrants, some of whom had actually served in World War II. So they generally tended to be liberals, classical liberals, in the sense of being anti-racist, anti-fascist, nominally anti-sexist. They believed in democracy and freedom of choice. So they had a liberal, left-leaning view of the world even when they claimed conservative politics. Now, I don't think that they sat down and intended to create radical, left wing comic books. I think what happened was that they were producing generally left-leaning, liberal comics that were about collective action, that were about freedom and democracy, and then they encountered this new generation of readers who had a much more diverse range of different political views across the spectrum from the radical left to the right. And I think they realized that they had to engage this audience in a new way. We can never divine or know for sure what creators intended. And to be frank, I don't really care because comic books and other forms of popular culture circulate beyond the meanings of any given author or creator, and new meanings attach to them. I think that readers in their own time were invested in the political values of superhero comic books, and they made demands on creators. They wrote thousands of letters to creators asking them to consider different kinds of issues, including feminism, including civil rights, including the Vietnam War. They were making requests on behalf of their own political values across the spectrum of these creators. So instead of making an argument about whether this was intentional or not, I argue that the political context of comic books was the outcome of a dynamic engagement between creators, fans, and cultural critics who were interpreting these comic books in their historical moment. One interesting thing you bring up in the book is how comics, as a medium, lend themself to radicalism because they're serials that are co-written by different people. A series can last years and years, with issues being handed off to numerous writers and artists who all have different perspectives. Comic strips are serialized, sequential narratives that produce an endless unfolding of visual panels, but also serialized in their issuing so that every month we get a new serial edition to the longer narrative of a group of superheroes. Because they are serial in this way, they are endlessly unfolding narratives that can move in unpredictable and indefinitely unpredictable ways. That, I argue, lends a certain radicalism to comic books because of course, the future is uncertain, and radical democracy is about the idea that we should always be able to revise, transform, dissent against, and change the future of our political life. Similarly, comics—because of their serialized form‚—they model this formally by creating endless opportunities for revising what has come before. So in every new installment, in every new panel, in every new issue, you have the possibility of changing what's come before, altering the story, moving it in new directions. ...which is why Spider-Man will never fit into the narrative in a way that makes sense. X-Men, mutants, are mutants through no action of their own. They were born that way. They are inherently different, some visibly so (Mystique) some not so visibly (Magneto, Professor X (hum...is it a coincidence that both these characters are white, hetero-normative men? I think not.)). Anyone who doesn't see this as a queer allegory isn't paying attention. "Family values" has been co-opted by right-wing folks. But what the hell! Feminists have strong values, and we have strong families, too.